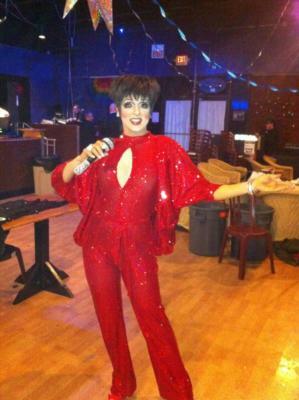 Gigi Monroe As Liza, Reba, Gaga, Dolly & More! > Gigi Monroe As Liza, Reba, Gaga, Dolly & More! 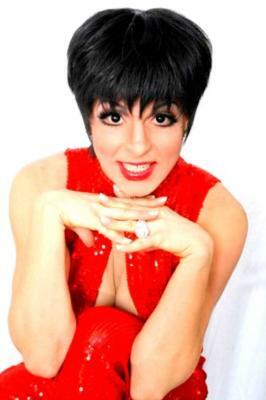 Kids' Party Entertainments > Gigi Monroe As Liza, Reba, Gaga, Dolly & More! Gigi Monroe is one of the nation's TOP female impersonators specializing in celebrity illusions! A very talented actor, makeup artist and lip-sync entertainer, HE is a man who makes one HELL of a woman! You will easily forget he is male and believe you are actually meeting your favorite female stars! Gigi is a seasoned theatrical performer with an unparalleled versatility - you can book him for up to FOUR DIFFERENT CHARACTERS to portray, dead-on, throughout the time of your event. Choose from your favorites - Liza Minnelli, Dolly Parton, Reba McEntire, Lady Gaga, Lucille Ball, Cher, Barbra Streisand, Madonna, Elvira, and Marilyn Monroe! He performs in stunning replica costumes that recreate your favorite star's most memorable concerts and music videos. Perfect for welcoming guests to your event as one character, performing as two others throughout the event and then mingling as yet another will surely wow everyone, young and old, from all walks of life! Please note Gigi Monroe As Liza, Reba, Gaga, Dolly & More! will also travel to Alhambra, Bell Gardens, Glendale, Huntington Park, Maywood, Monterey Park, Bell, Hollywood, Pasadena, South Pasadena, Montebello, South Gate, Burbank, Beverly Hills, Inglewood, Rosemead, San Gabriel, San Marino, Culver City, Downey, El Monte, Lynwood, Pico Rivera, Toluca Lake, Universal City, Willowbrook, Compton, La Canada, Montrose, North Hollywood.